I know that when most people hear Free Range Eggs they picture chickens walking around in a pasture, clucking happily in the sun like they should be, but unfortunately that is not the case. The label free range was intended to give consumers an idea about the conditions the chickens were kept in, so that they could make an informed decision when buying eggs, but due to irresponsible factory farm businesses, consumers are being duped. The truth about free range is that it is nothing more than a label regulated by the USDA that has been abused by agribusiness companies who are more concerned with their bottom line than with healthy food and humane treatment of animals. 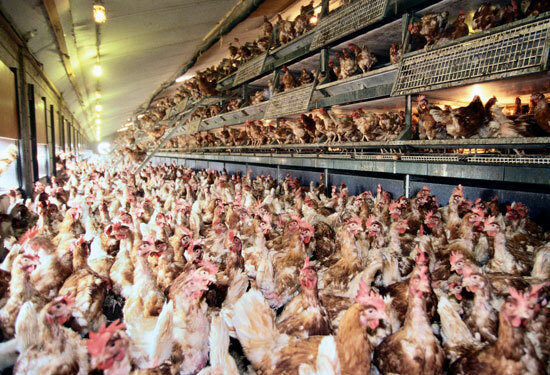 Many people are now aware that conventional egg-laying hens are kept in deplorable conditions. 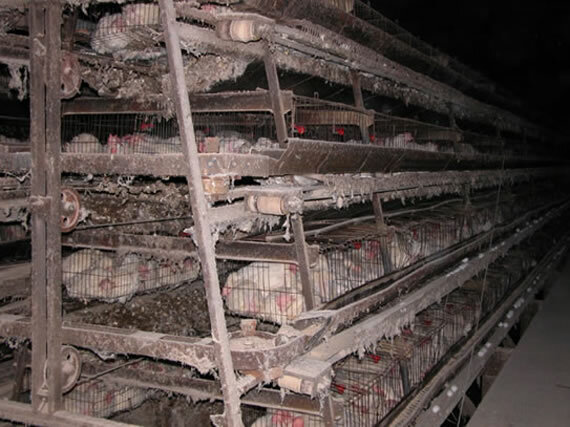 Most conventional egg-laying hens are kept in battery cages in a dark shed right next to other chickens. They are de-beaked so they can’t peck at each other and fed antibiotics and hormones just to keep them alive. Most of these hens never see sunlight and are never given an opportunity to walk since their cage does not allow for movement of any kind. These conditions are bleary and sad, so it’s only natural that people would want to avoid supporting that and choose free-range instead, but the problem is that there is barely a difference between conventional and free range eggs. What does “free range eggs” really mean? Since the USDA’s definition of free-range is so weak, manufacturers are allowed to pack hundreds or even thousands of chickens in a dark shed with a tiny opening at one end of the shed. The only requirement is that “the poultry has been allowed access to the outside”. Most of the chickens are not aware of the opening, cannot physically access the opening or the opening only leads to a very small fenced outdoor section that wouldn’t allow enough space for even a few hens. Most free-range hens do not see outdoors more than a handful of times in their lives. “Free Range” Chickens. Not quite what you pictured, right? 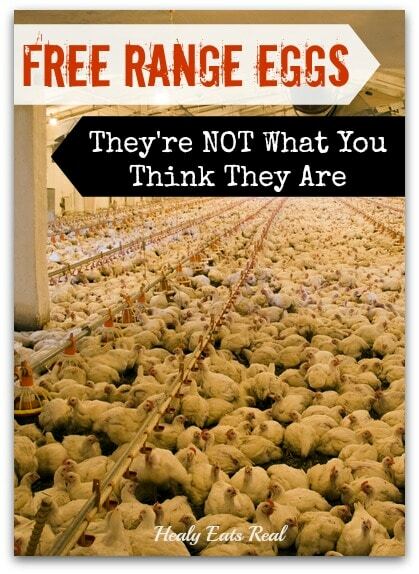 Free range eggs does NOT mean that the chickens were treated humanely. Most agribusinesses employ the same exact methods of de-beaking and unhealthy living conditions that conventional factory farms do. Free range eggs does NOT mean that the chickens are free from antibiotics or hormones. Free range eggs does NOT mean that the chickens spent a substantial amount of time outside, it may even mean that they don’t step foot outside more than a few times in their lives. Free range eggs does not mean that the eggs are organic or GMO-free. Which Egg Label REALLY Means that the Hens Roam Free? Pastured eggs are the only ones that you can trust that the hens actually spend substantial time outside. Pastured means that they actually graze outside and are allowed to forage on grass and bugs. The hens get vitamin D from the sunlight and are all-around healthier and therefore create more nutrient dense eggs. Although pastured eggs are the best and most humane option, it doesn’t necessarily mean that the eggs are organic or GMO-free. 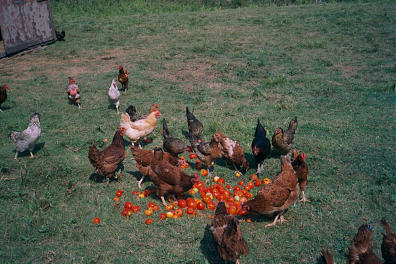 Sometimes pastured hens can still receive supplemental feed which can contains GMO corn or soy. To avoid this, you can either buy organic pastured eggs or pastured eggs that are labelled as non-GMO. Read more about GMOs here. If you buy eggs from a farmer’s market, simply ask your farmer if they give their chicken supplemental feed and if it’s gmo-free. 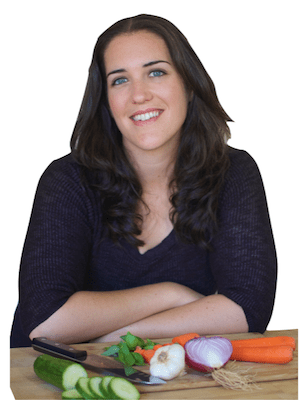 If you can’t get pastured eggs, what would be the next best option to look for? If you can’t get pastured eggs, then the next best option would probably be to try to find free range eggs from a local farmer’s market since they would likely be a little better quality than the store-bought ones. Try checking craigslist, you might be able to find a local farmer or someone who raises chickens who might be able to supply eggs. If those two don’t pan out then organic free range is unfortunately the best you can do if you really don’t have access to pastured. Great post. In my opinion it is always better to buy eggs from a back yard chicken farmer than store eggs. 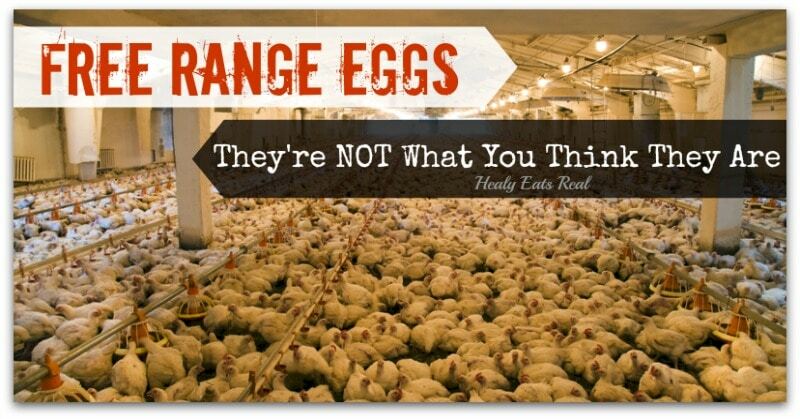 While they may have been feed gmo feeds they are still better cared for in general and the eggs will be fresh too. I agree Becki, if you know the farmer or they are local it’s much better. However, GMOs are a concern and have been linked to food allergies, leaky gut and autoimmune disorders. But if pastured eggs with GMO feed is your only option I still think it’s better than “free range” organic. I agree about the gmo “food”. I have gotten away from gmo feed for my goats and am working toward it with my chickens. I will have to come up with my own affordable mix as organic chicken feed is almost $30 for a 50 lb bag. No wonder organic eggs are so expensive! This is great information that more people need to see. Thanks for a great post. I actually created an infographic on this exact thing explaining the difference between pastured and conventional eggs. 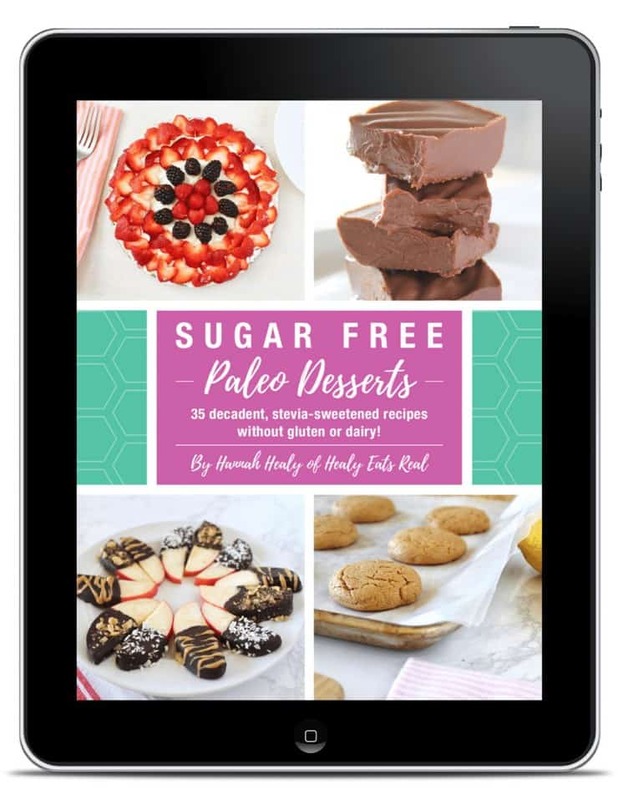 Would love to share it with you! FANTASTIC post! When we cannot get eggs from our neighbor down the street, we stick with pastured and then ideally pastured organic (sometimes hard to find “certified” organic as getting certification is expensive for small farmers). Also, note that “pastured” is not the same as “pasteurized”. I saw some eggs at Publix with a huge “Pasteurized Eggs” across the front, obviously to fool people into thinking they were pastured. They almost went into my cart, but luckily, I caught onto their trickery. In Phoenix the eggs from grocery stores are labeled “cage free” and certified organic. I’m wondering now if this is comparable to “free range” eggs. Where does one go to research a specific egg producer? Yes, “cage free” is essentially the same as “free range” it just means that the chickens aren’t in battery cages, but if you look at the photo in the article of the “free range” hens, they are not caged, but still in poor living conditions. Although that is a dreamy photo of pastured hens, the girls tend to dig up and, ascetically speaking, destroy their outdoor area pretty quick! So even if your farmers hens don’t appear to be roaming on grass, they sure do like to dig, make cool spots to lay on a hot day, find worms to eat, etc and they are still very happy in their dirt pens!